Gear collapsed and prop strike. LAKELAND — An airplane’s landing gear failure led to a rough start for one pilot in Lakeland. 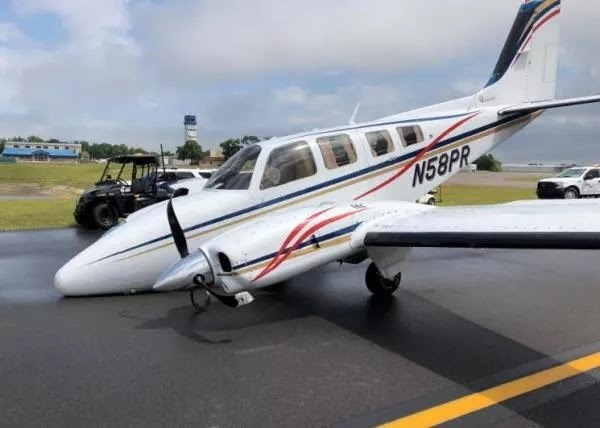 A Beechcraft 58P Baron had its nose gear collapse while attempting to land at the 45th annual Sun ’n Fun Fly-In & Expo at 12:11 p.m. Tuesday, the Lakeland Police Department reports. The plane skidded along Runway 27R to a stop. 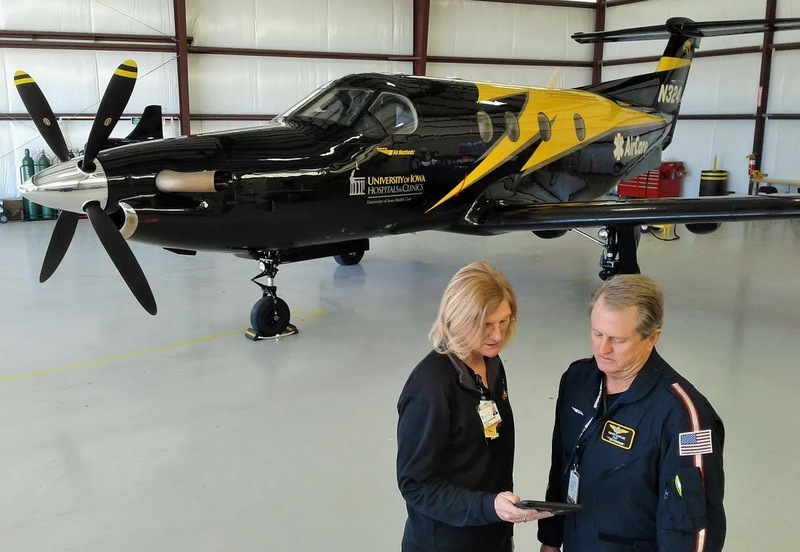 The 72-year-old pilot, John Quinlan, of Calxon, Georgia, and his wife, Kathryn, were not injured in the crash, according to police. The Lakeland Fire Department responded to the scene with an Aircraft Rescue Firefighting vehicle. The aircraft was checked for any fuel leaks or a potential fire. 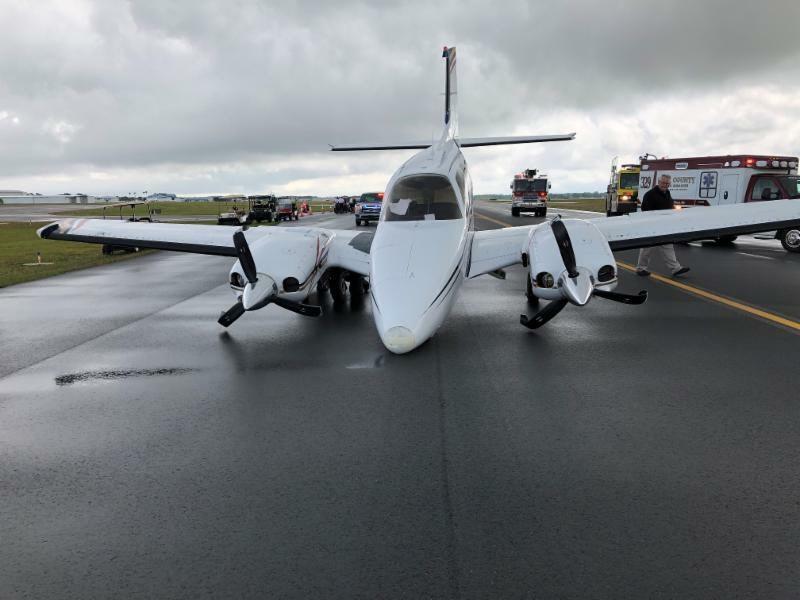 The runway was shut down for approximately 50 minutes as emergency personnel responded. The aircraft has been moved to a secure location. Federal Aviation Administration officials responded to conduct a preliminary investigation of the incident. Any additional information on the accident should be directed to the FAA at 404-305-6700. That's one expensive mishap. 2 props, 2 engine rebuilds and sheetmetal work to the nose not to mention what failure occurred with the nose gear in the first place. That’s why God made hull insurance.